This article is brought to you by Janalyn Voigt. He arrived in Seattle in 1875, an untried youth of eighteen with one thin dime in his pocket. From this humble beginning, Robert Moran grew a shipbuilding empire that made him a millionaire. He rose to prominence as Seattle’s major and won a second term due to his leadership during the Great Seattle Fire in 1889. He overhauled Seattle’s water system to allow a better response to fire during his second term, then went on to serve as a congressman. Robert Moran arrived in Seattle with a dime in his pocket. I came across Robert Moran’s story while researching Deceptive Tide, a romantic suspense novel set to release in May. He impressed me as a remarkable man with a brilliant mind. If anyone could and should leave a legacy, it was Robert Moran. But first he had to cheat death. After a long career that saw him building a fleet of steamboats built for use on the Yukon River during the Klondike goldrush and the USS Nebraska, Washington State’s only battleship, Robert received a devastating diagnosis from his doctor. He had heart disease and would die within a year. In his place, what would you do? I wish I could say for certain that such a pessimistic prognosis wouldn’t in itself put me under and that II would live my last days on Earth well. Robert Moran took his doctor’s advice to retire. He sold his shipyard and moved to Orcas Island, where he purchased 7,800 acres that included 2,398-foot-tall Mt. Constitution, the highest peak in the San Juan Islands and Cascade Lake, a serene setting not far from the last, most poignant monument to his talents. 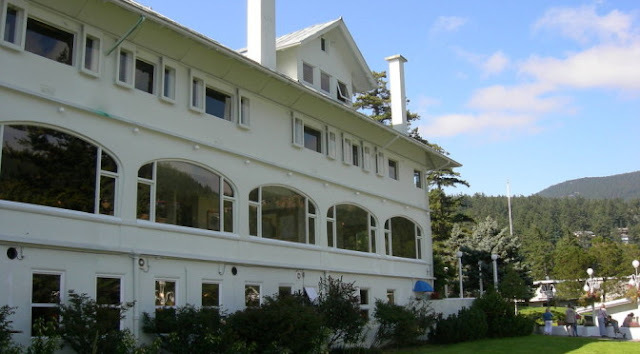 In 1906, Robert Moran began construction of a 54-room, five-level home that became known as `Moran’s Shangrila' and `Showplace of the San Juans.' 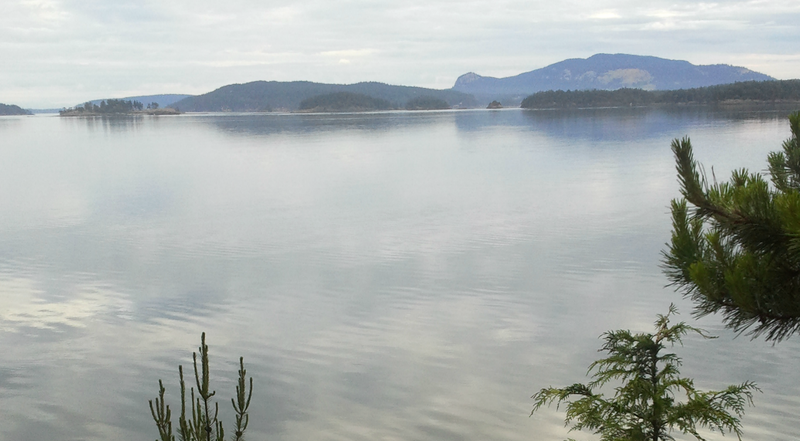 Moran simply called it Rosario, after the strait that separates the San Juan Islands from the mainland. Designed to resemble a ship with its sleek profile and chimney stacks rising from the roof, Rosario pays tribute to Robert Moran’s nautical background. The mansion features stained glass transoms, rich paneling, and other rich details adhering to the Arts and Crafts movement, in vogue at the time. Moran Mansion in 2007, Courtesy of Joe Mabel. It is not the architectural detailing or even the exemplary craftsmanship that sets Rosario apart, however. The views from every window make visiting this showplace an experience to remember. Moran treasured nature’s beauty and refused to hang pictures to compete with it. A wise move, in my opinion. I visited Rosario several times on research trips, and each time came away awed. Once, while at breakfast in the Moran Mansion restaurant, which occupies the veranda (now enclosed), I stared in utter delight as an eagle glided within feet of the window beside me. Any visitor who does not visit the museum upstairs misses the beauty of the mansion. The heart of the mansion is the music room, where Robert Moran entertained guests to his home. Each Saturday night in summer, Christopher Peacock, the caretaker, plays a concert on the 1913 Aeolian organ, which features 1,972 pipes. He also shows silent film episodes and recounts colorful stories of the mansion’s previous residents. While Moran was building Rosario, the calendar year turned once, then twice, and finally decades went by. He regained his health and vigor, bolstered by the pristine island atmosphere, reduced stress, and the creative labor he enjoyed. Robert Moran lived another forty years, until 1943 and a ripe old age of 86. He had suffered not from heart disease but from job stress. The lifestyle change he made in preparing to die saved his life, but his story doesn’t end there. Robert Moran’s friend, naturalist John Muir, had a profound impact on him, as did the policies of President Theodore Roosevelt. 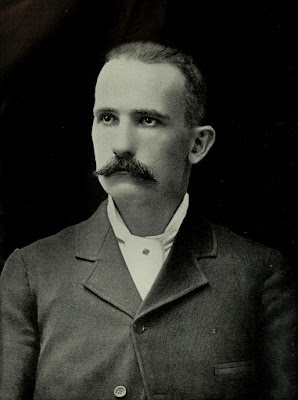 In 1911, Moran donated thousands of acres (including Mt. Constitution and Cascade Lake) to the state of Washington. This land became Moran State Park and is beloved by visitors today. My research into the life of Robert Moran revealed a man who lived well but also knew when to let go. This empowered him to leave a legacy for future generations. Today, the Moran Mansion is part of a resort where visitors focus, as Robert Moran did, on health and healing. I like to think that would make him smile. Janalyn Voigt's unique blend of adventure, romance, suspense, and whimsy creates breathtaking fictional worlds for readers. 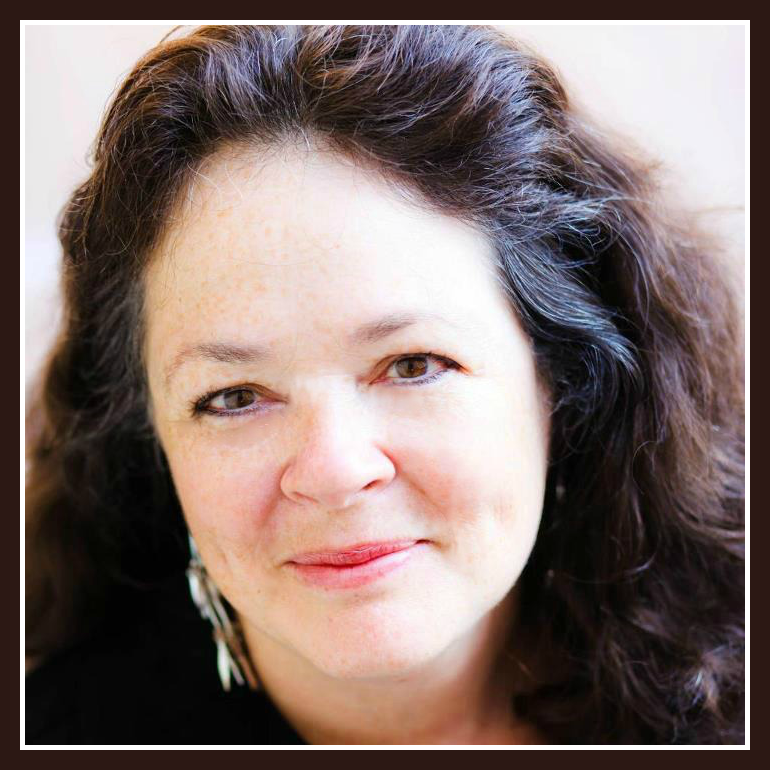 Known for her vivid writing, this multi-faceted author writes in the western historical romance, medieval epic fantasy, and romantic suspense genres. Janalyn is represented by Wordserve Literary Agency. Her memberships include ACFW and NCWA. When she's not writing, she loves to garden and explore the great outdoors with her family. Explore Janalyn Voigt's interactive website. Wow! I would love to visit that place! Lovely post. Makes me want to visit! Thanks! Another interesting place to visit. Thank you for sharing. Thanks for sharing this interesting post! Very interesting! This is a place I need to visit next time I'm in the Seattle area.